Thank-you all for a fantastic (and hot!) 2018 season. We are now closed for winter and re-open on the 15th March 2019. We have some exciting news here at Twitey’s! 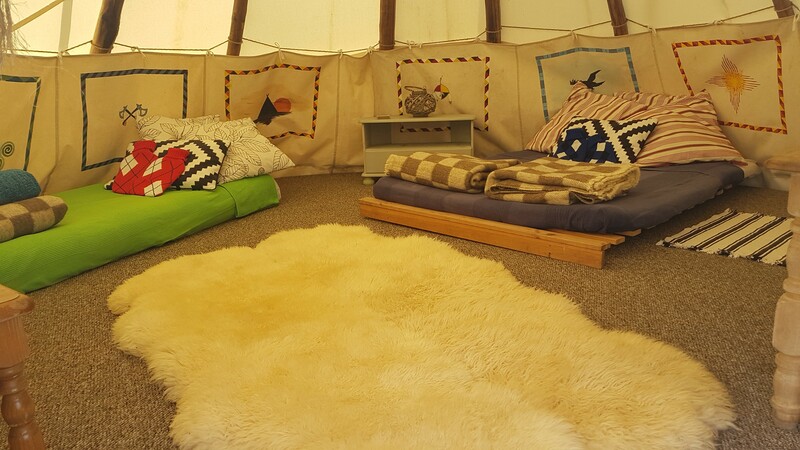 Our lovely Tipis Amitola and Kangee have grown over the winter, and are now able to sleep up to 6 people (4+2, for comfort). 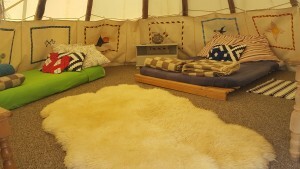 Both Amitola and Kangee now also have a large 6ft zipped entrance, and porch area to keep your shoes dry, giving you more shelter and space outside your Tipi. 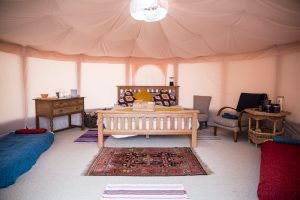 Welcome to our small, beautiful and cosy camp site. Just 4 miles east of Stratford upon Avon and 8 miles south of Warwick (why not explore the wonderful and historic Warwick Castle) it provides the perfect location to enable you to breathe in the atmosphere and fully explore the delights of Shakespeare Country and the Cotswolds nearby. 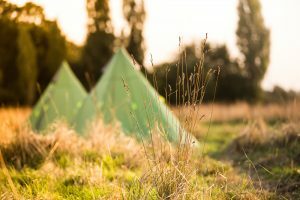 A family friendly site where pitches are hidden in the grass and wild flower meadows, thus providing seclusion and exclusivity. A glimpse back to camping of old! Children are able to explore the grass pathways, play Hide-and-Seek and use their imagination. Evenings around the campfire chatting with family and friends, watched over (hopefully) by the twinkling stars, allows for a lovely end to the day. To enhance the experience of camping in the meadows, vehicles are left in the car-park. Barrows are provided to help move tents and kit to your pitch, unusual but fun, especially for children who often get a barrow ride from mum or dad. With cars parked up away from the camping, all can play safely in their surroundings. From here on in – you can relax, chill and enjoy time next to your own camp-fire.